Other photos: Photo 1, Sailing (stern), Sailing, Under Motor, Sailing (full height), Maria Alba II, Cockpit looking forward, Cockpit with helm positions, Port Helm detail, Saloon general, Saloon seating, Saloon looking aft, Owner stateroom, Owner cabin vanity, Owner bathroom, Guest double, Guest twin, Galley, Ashore - profile and keel, Ashore - stern, rudder and keel, Plan of interior. 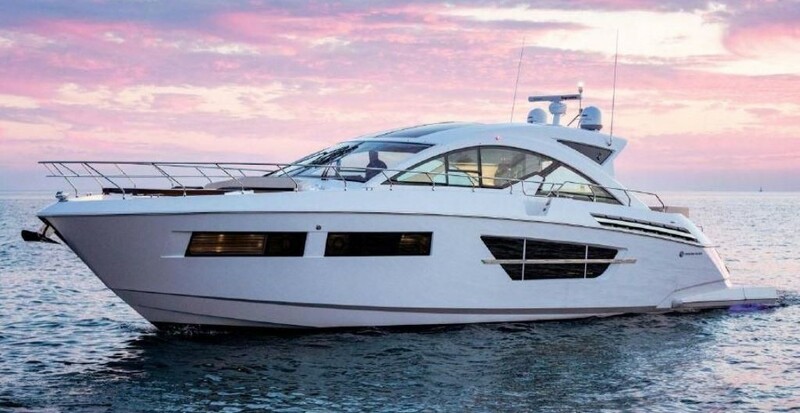 The current owners have used MARIA ALBA II purely for cruising with family and friends. Her home port is on the mainland of Spain. Originally built as Leopard of London, she was launched in June 2000. The yacht was designed to have the performance to compete in regattas coupled with the luxury to charter. Acquired by the current owners in 2006 the yacht was renamed Maria Alba and has undergone steady improvement since. This has included: New engine and new teak decks, in 2012. Other upgrades include new 18kva genset 2010. New bowthruster 2008. New main 2011. The interior has also been completely refurbished and modernised including soft furnishings. October 2014 the yacht completed a full standing rigging check, the mast was out and all parts checked / replaced as required. Summer 2016 did she did some Med cruising to France and Corsica and the Balearics. During 2017 the yacht cruised around the Balearic Islands and then on to Croatia. Winter 2017/18 she is being serviced and some areas will benefit from updates. Summer 2018 she cruised the Med and then underwent some intensive maintenance service including a full paint job; replacement of all electronics on board; new crew quarters, galley & crew mess; anchor carbon bowsprit added to the bow; full electrical replacement throughout the yacht; new awnings, cushions, etc...; full hydraulic service, full main engine and generators service. SYS Yacht Sales is pleased to assist you in the purchase of this vessel. This boat is centrally listed by Northrop and Johnson Spain.